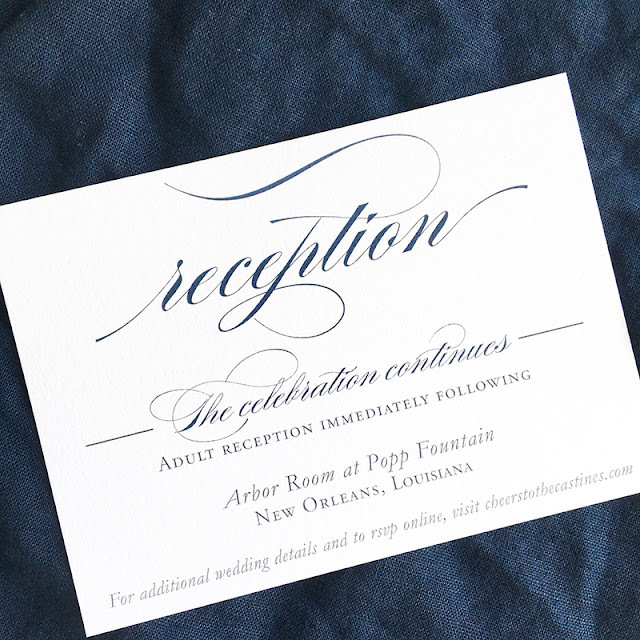 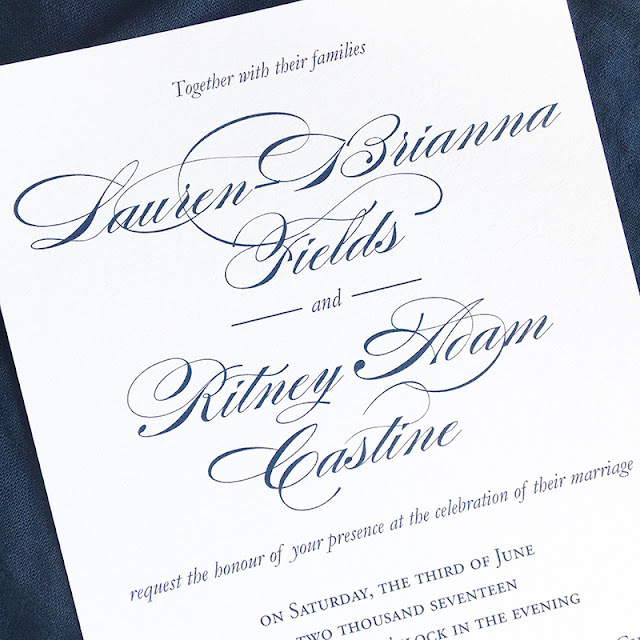 It was such a pleasure working with Lauren and Ritney on their classic navy wedding invitations. They chose our Timeless Wedding Invitation suite with flat printing on our luxe 120# slightly textured white paper. 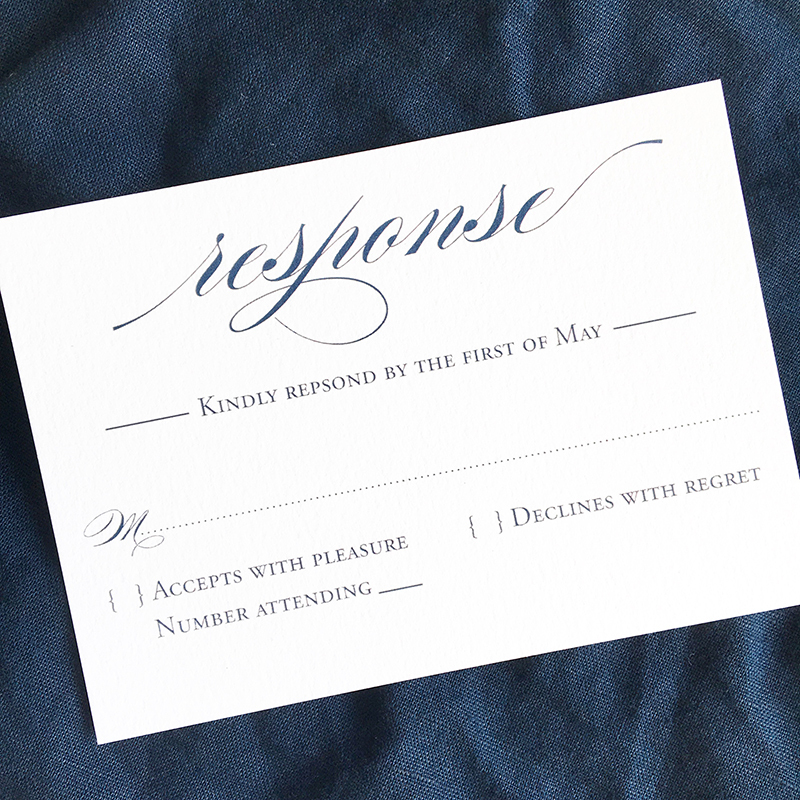 The navy has such a lovely crisp feel on this paper, it's one of my favorites. 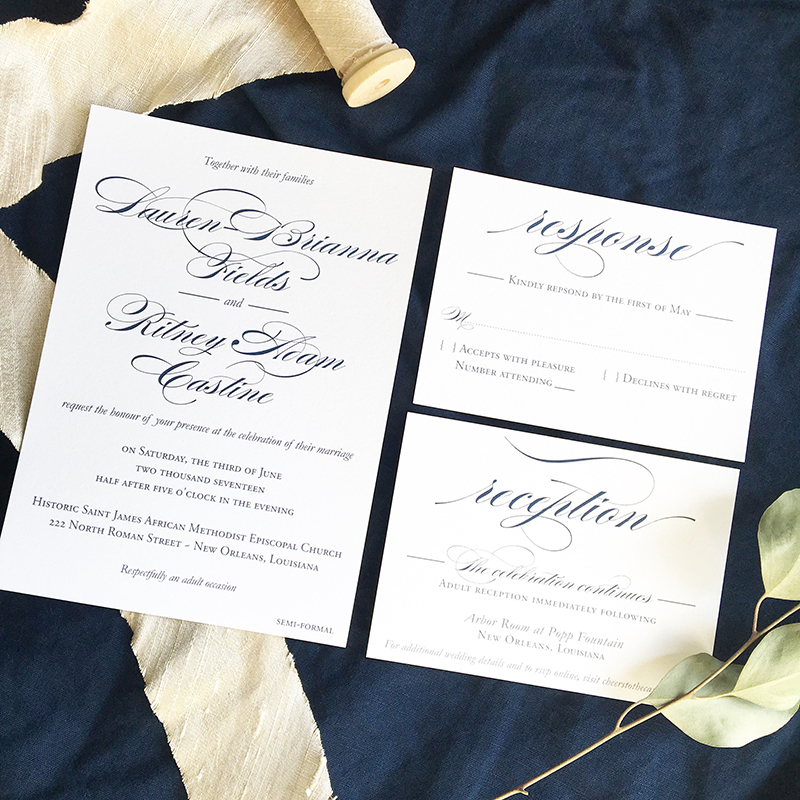 It's the perfect combination of clean, crisp and modern design.